Which NBA Team Offers the Best Free-Agent Destination This Summer? Where should the loaded free-agent class of 2019 really look to play? A breakdown of this summer’s best options. In a perfect world, the best NBA free agents wouldn’t have their minds made up about where they want to play next months in advance. 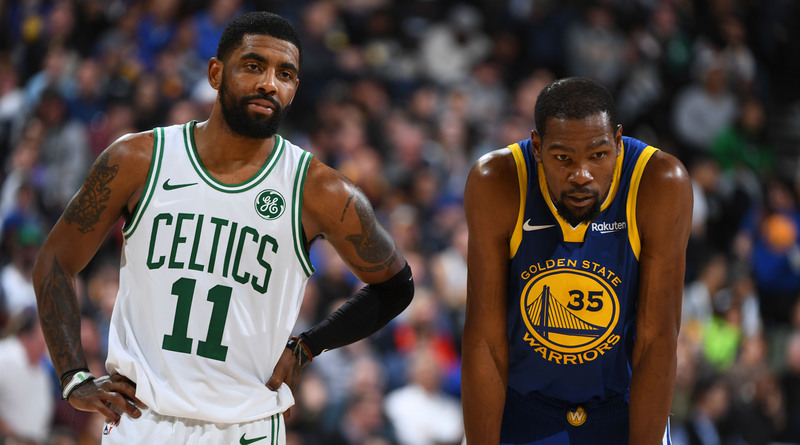 When Kevin Durant and Kyrie Irving sign with the Knicks, am I supposed to believe they’ll come to that decision during the first week of July? There’s no question the summer of 2019 is shaping up to be an incredibly important offseason for the future of the league. If the big names really do move around—as they are rumored to do—the table could be reset for championship contention. While the Durants, Irvings, and Kawhi Leonards of the world apparently already have some cities circled in their... diaries(? ), it’s possible they haven’t taken the time to carefully consider their options. (I didn’t say likely, I said possible. Then again, the Knicks are rumored to be favorites for some of these guys.) So how should max-level guys decide where to take their talents? Let’s run through the most important factors before settling on the best option. Basically, when you sign with this team, are you stuck there, or can they bring in another star? I’m actually personally a little tired of the way flexibility gets fetishized in the NBA, but it’s a certainly a key component to building a title team. It backfired on the Lakers this season, when they couldn’t sign a second guy to pair with Bron, or trade any assets for another star. But in general, stars who are moving to a new location still want to win, and going to an organization that has the ability to acquire multiple pieces will be critical. The existing roster is the yin to flexibility’s yang. Stars want a team they can mold, with other stars and role players who can fill in the gaps. But it also helps to have some infrastructure in place. It certainly helped LeBron when the Cavs had Kyrie Irving on the team, and KD’s life was made easier when he joined the winningest regular-season team ever. Going to a roster with zero playoff experience or no potential stars has to give guys the slightest pause. LeBron just went to a Lakers team that was in the lottery last year... and they’ll return again this summer. Joining a team that’s proven to be competitive before your arrival is always a smart play. Does the coach have playoff or championship experience? Is he known to get along with his players? Whose coaching tree does he belong to? A good coach is often a sign of organizational stability (we’ll get there), and that coach can help offset some of the attention and turmoil that often arrives along with a new star. Is your front office run by a former star player and a former star player’s agent, or lifelong front office types who have good relationships around the league? Has the organization made the playoffs this decade, maybe even beyond the first round? Does the front office embrace forward thinking? Is the owner willing to spend deep into the luxury tax? How exactly did the team arrive at the point of creating all this cap space? Joining a loaded team trumps all when it comes to winning, but joining a team with a sensible owner and front office could be the difference between one title and a long run of success. I’m sorry, but stars won’t pick Salt Lake City over Los Angeles. 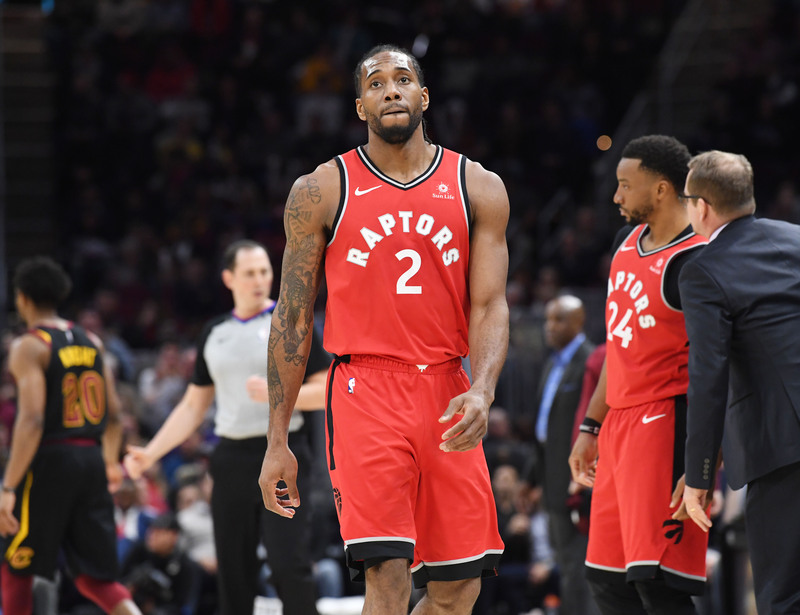 Right now, the only star connected to the Clippers is Leonard, who has been linked to the team since before his trade to the Raptors. Every major free agent this summer should give the Clips a long look. They have only $50 million in committed salary, and can create even more if they’re desperate by moving Lou Williams and/or Montrezl Harrell. They will make the playoffs this season. Doc Rivers has won a championship before. The front office is filled with seasoned vets (Lawrence Frank, Jerry West.) And Steve Ballmer will seemingly spend any amount of luxury tax money to keep together a contender. The Clippers can most likely finagle a way to sign two max guys, and then have just enough assets left over to try to swing a trade for another solid player who shakes free. Or they can easily keep those assets and still have a great team. If guys like KD and Kyrie really want to join forces, it makes the most sense to do it here, Bron’s shadow be damned. Brooklyn can almost certainly open a max slot this summer, though D’Angelo Russell’s emergence makes things a little more complicated. But the Nets have flexibility this summer and beyond, a coach who is extracting every bit of talent from his roster, and a front office that’s worked diligently to get the team in this position. The existing roster isn’t outstanding, but it’s more than competent, and already filled with role guys who make sense around a star. Brooklyn can get creative this summer, maybe shedding Allen Crabbe’s contract by attaching a first-round pick, or (gulp) letting Russell walk if another star point guard signals a commitment. The Nets fall just short of the Clips because of experience and, to some extent flexibility, but this would still be a great option for any free agent. If guys are really desperate to play in New York, Brooklyn offers that opportunity without the baggage attached to the Knicks. Joining the Lakers would have its benefits. You’re in L.A., and LeBron is your teammate. But James is getting older, it’s hard to make sense of the young core, and there’s going to be a new coach in place by next season. Joining the Lakers will also invite a constant drum of attention and scrutiny that could get old very quickly. The Lakers somehow still have a path to putting two stars around LeBron, one via free agency and one via trade. It seems increasingly unlikely that actually happens with each passing day, but there’s lots of glory to be had here as well for any star that does decide to join. The Knicks are going to have an absurd amount of cap space this summer, and a high draft pick to boot. But there are valid concerns that make them far from a slam-dunk option. Will guys want to entrust James Dolan with their careers? Does the lack of success this millennium speak to a larger problem? Is the existing roster exciting? The Porzingis trade helped for this summer, but it’s also a little troubling how things ended with this team’s last star. Meanwhile, David Fizdale is a players’ coach who has seemingly had disagreements with his last two top players (Remember the Marc Gasol rift?). I understand the appeal of Madison Square Garden, and somewhat understand the appeal of being the Knicks’ savior, but in many ways, this is the most dicey option. That doesn’t mean it’s a bad choice, but it’s arguably the biggest gamble among this summer’s four most obvious teams. The Mavs should have a max slot even with Kristaps Porzingis’s cap hold. Wouldn’t running with him and Luka be incredibly fun? Rick Carlisle is a great coach as well, but Dallas doesn’t seem to be as hot a free-agent spot as New York or L.A., and Doncic and Porzingis are still very early in their careers. If the Sixers renounce Jimmy Butler, they can get to a max-ish spot even with Tobias Harris’s cap hold, but that would mean renouncing J.J. Redick (and everyone else) as well. Someone like Khris Middleton or (total pipe dream) Klay Thompon would be an outstanding fit for this team. Philly will likely only be in the market for second-tier guys (unless Elton Brand goes wild and renounces both Butler and Harris), but more guys should consider joining forces with Ben and JoJo. If Kyrie walks and Al Horford either walks or comes back at a much lower number, Boston could have a little money to play with. I’m not sure the Cs would be a super attractive option in this scenario, but maybe a Kemba Walker-type would take a chance in this situation.